But despite its marketing, the app contained glaring problems with securing user account information, IOActive said in a Wednesday post. The consultancy noticed it could access records for 7,000 Confide users by exploiting vulnerabilities in the app’s account management system. Part of the problem resided with Confide’s API, which could be used to reveal data on user’s phone numbers and email addresses. The vulnerabilities are especially problematic, given that Confide is designed to promote privacy. Republican officials and White House staff have reportedly adopted the app over its ability to send “self-destructing” messages that delete after being read. However, the vulnerabilities found by IOActive suggest that the messaging app wasn’t using the best security practices. For instance, the app permitted users to choose easy-to-guess passwords. It also failed to stop “brute-force” attacks on user accounts, which can involve guessing user passwords through trial-and-error. Data sent from the app wasn’t always done securely, IOActive added. The software’s notification system neglected using a valid SSL (Secure Sockets Layers) server certificate to communicate over the internet. That could expose the app to a man-in-the-middle attack and allow hackers to eavesdrop on the internet traffic. In addition, the app omitted using a system to authenticate encrypted messages, meaning that Confide itself could tamper any message sent in-transit. 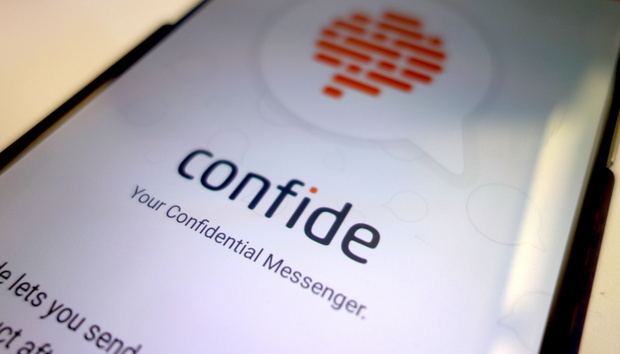 But it’s not the first time that Confide has faced concerns over the app’s security. Last month, journalists noticed that the Confide app allowed them to look up the phone numbers of White House staff, including press secretary Sean Spicer. In an email, Confide said its security team is always monitoring its systems to protect users. "As issues arise, we remain committed to addressing them quickly and efficiently, as we have done in this and every instance," it said.